At the request of His Holiness the Dalai Lama, the Panchen Lama Tashi Lhunpo Project (PLTLP) is helping to re-establish the Tashi Lhunpo Monastery in exile, to its former greatness as a spiritual and scholastic center, preserving the traditions and culture of Tibetan Buddhism, protecting the seat of His Holiness the Panchen Lama, and the unique relationship that has existed between the two Lamas for hundreds of years. The Panchen Lama Tashi Lhunpo Project (PLTLP) is a 501 (c) (3) non-profit organization based in northern California that respects and supports the unique scholarly lineage and culture of His Holiness the Panchen Lama, recognized as the second most important figure in Tibetan Buddhism. PLTLP is committed to rebuilding Tashi Lhunpo Monastery in exile, the traditional seat of His Holiness the Panchen Lama. 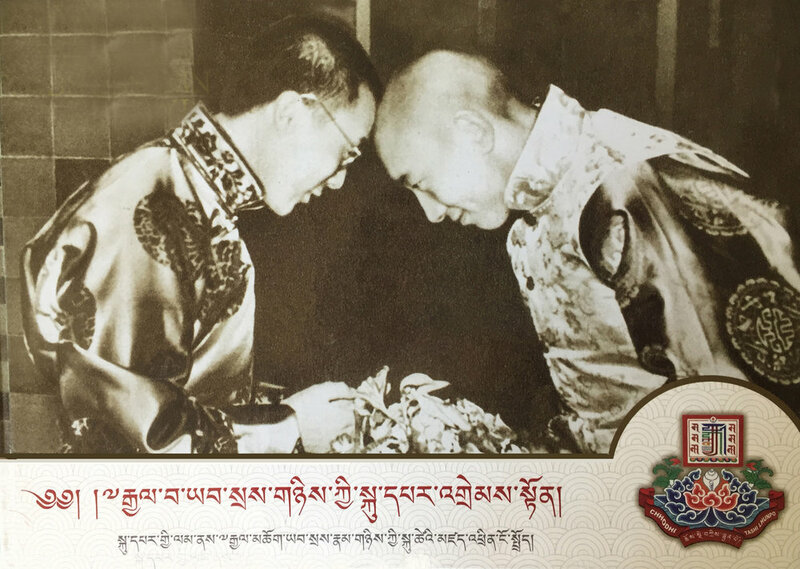 His Holiness The Dalai Lama has a special connection to Tashi Lhunpo Monastery through his relationship with The Panchen Lama. He has given this project his blessing and is in total support of all efforts to see the monastery grow and thrive. PLTLP celebrated its 10th Anniversary in 2017. To date, we have raised nearly $1,550,000.00 for monastery projects. All donations are tax deductible. Our tax ID number is FIN: 20-8018998. Under the direction of Khen Rinpoche Geshe Kachen Lobzang Tsetan, appointed Abbot of Tashi Lhunpo by His Holiness the 14th Dalai Lama, the monastery in southern India is being reestablished to its former greatness as a center for spiritual and scholarly study in the Gelug, or Gelugpa “Yellow Hat” tradition of Tibetan Buddhism. Over the last decade, Khen Rinpoche has tirelessly traveled the world to teach Tibetan Buddhist philosophy and inspire people to help support the monastery. His example of loving-kindness teaches us to be more compassionate human beings. It is with this spirit and energy that PLTLP is supporting the monks of Tashi Lhunpo Monastery to preserve the legacy of ancient Tibetan Buddhist wisdom and provide access to these universal principles for all who are interested in learning and adopting them for contemporary life. Through special teachings, projects, and events PLTLP brings the legacy of Tashi Lhunpo to people all over the world. Upon completion of the new Prayer/Assembly Hall, Khen Rinpoche stated, "From Los Angeles to New York, to Austin and Maine, we pulled people together from all different ages, faiths, and distances to create something remarkable to make this dream come true." 35,000 people attended the consecration of the Prayer/Assembly Hall in December, 2015. The monks of Tashi Lhunpo Monastery request your compassionate understanding and generous support to fulfill its mission of the preservation and dissemination of ancient wisdom and to help reveal its link to current scientific research and education. Please donate as generously as you can. ALL donations are received with gratitude and appreciation. If you can contribute monthly, this gives the monastery a sustainable financial outlook. Learn more about the Tashi Lhunpo Monastery in exile and its historical significance.